If you’re living with diabetes, you have probably had to change your diet. Out with white bread, the potato chips, and full-fat cheese. In with the whole-wheat toast, tofu and celery. You also might want to change the fats that you are cooking with. You may have heard that coconut oil may be a good replacement, but you might not know how it will affect your diabetes. Is it better or worse? This is what you need to know about coconut oil and diabetes. Coconut oil, also known as copra oil, is derived from mature coconut meat. The oil is rich in antioxidants and triglycerides that increase energy, and low in cholesterol. The oil not only has a mild nutty flavor, but also leaves little grease. It is commonly used as an alternative for vegetable oil and olive oil or butter when cooking or baking. If you have diabetes, keep in mind that maintaining a healthy weight is a key part of a diabetes meal plan. This is particularly true for type 2 diabetes. Type 2 diabetes usually starts with the body's resistance to insulin. Insulin resistance is linked to being overweight. 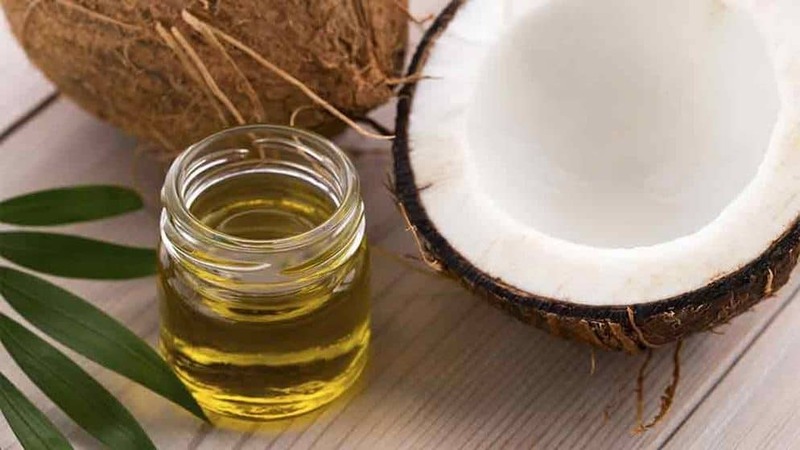 A 2008 study observed that people who consumed medium-chain fats such as coconut oil as part of a weight loss plan lost more fat than those who used olive oil. Coconut oil is rich in medium-chain fats. This means that coconut oil, a solid fat, is harder to convert into stored fat. This allows your body to burn it more easily. Although independent studies, such as this 2009 study in Lipids, have corroborated it, there is not enough research to definitively support this claim. Research has also discovered that “virgin” coconut oil has antioxidant and anti-stress properties. It is important to keep in mind that, unlike olive oil, there is no industry standard for virgin coconut oil. This means that virgin coconut oil can vary between manufacturers. Generally, virgin means that the oil is unprocessed. The oil has typically not been refined, bleached or deodorized. Does coconut oil differently affect type 1 and type 2 diabetes? Some evidence suggests that coconut oil can lessen the symptoms of type 2 diabetes. An animal study conducted in 2009 found that a diet rich in medium-chain fatty acids, like coconut oil, could help in preventing obesity and fight insulin resistance, factors that lead to type 2 diabetes. A more recent study in rats has shown a reduction in blood glucose levels. The researchers also found that medium-chain fatty acids can reduce fat accumulation and support the action of insulin on fat tissue and muscle. However, there is a disadvantage. Rodents also showed greater fat accumulation and insulin resistance in the liver. More research is required on the relationship between coconut oil and type 2 diabetes. 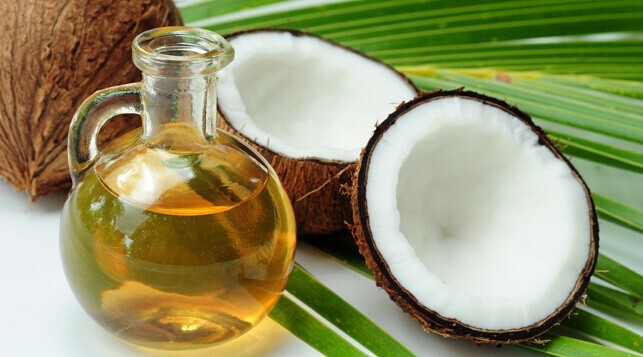 A separate animal study published in 2010 showed that diabetic rats that consumed coconut oil had lower cholesterol levels and improved glucose tolerance. Currently, there is no research on the effect of coconut oil on people with type 1 diabetes. Despite its potential benefits, coconut oil is still believed to be an unhealthy fat. This is due to the fact that coconut oil contains saturated fats which can increase cholesterol levels and can lead to heart disease. People with diabetes have a higher risk of heart disease. Even so, some studies are beginning to show that it is a better option than other accepted oils. Compared to sunflower oil, coconut oil has not changed lipid-related cardiovascular risk factors in people receiving standard medical care. Another study compared coconut oil and soybean oil. It was discovered that soybean oil was more likely to induce obesity and diabetes symptoms. The American Diabetes Association suggests that people with diabetes limit their intake of saturated fats to help reduce the chances of suffering a heart attack. The organization recommends replacing coconut oil with what it considers to be healthy fats, such as safflower oil and olive oil. If you decide to add coconut oil to your diet, you should do it sparingly. From time to time, you can consider replacing your regular oil with coconut oil when you sauté vegetables. If you want to use coconut oil in a recipe, make sure to melt the oil in its liquid state. Other ingredients should be stored at room temperature. This will prevent the oil from quickly solidifying into clumps. Coconut oil tastes great, so be careful not to use more than one serving. A standard serving of coconut oil is about a tablespoon. Coconut oil has its benefits, but it's still a saturated fat. This means that if you eat too much, the oil could increase the risk of heart disease. Although animal studies proved some benefits, there is very little research in humans on how coconut oil affects diabetes. It may be safer to consume healthy fats, such as olive oil, and to use only virgin coconut oil in small quantities. Always consult your doctor when making changes to your diet.